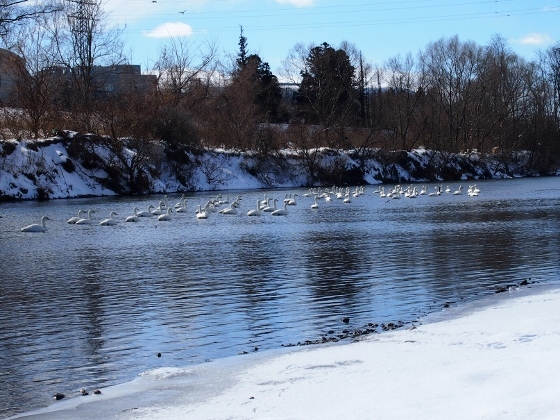 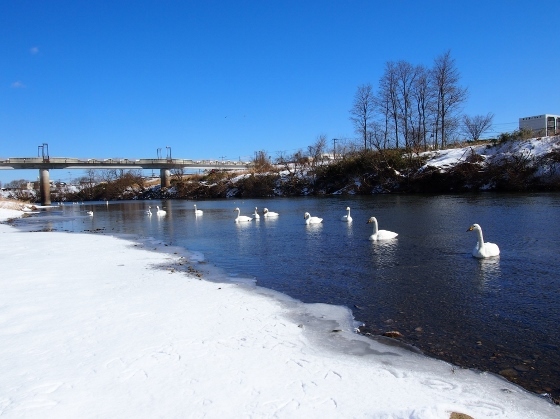 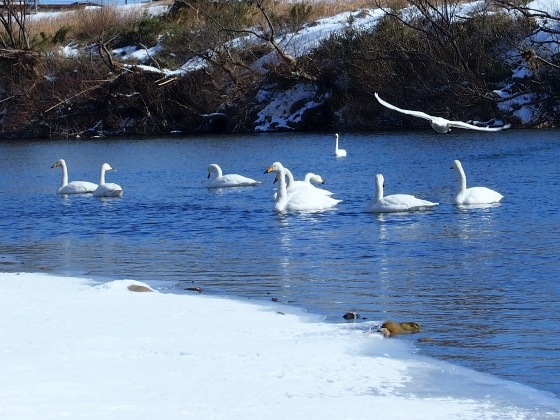 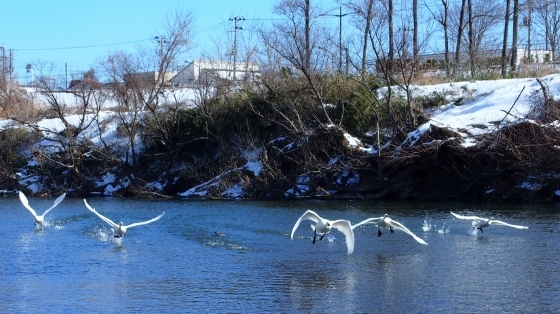 Today, I visited swans in Abukuma River which was coated white by the heavy snow of last weekend. 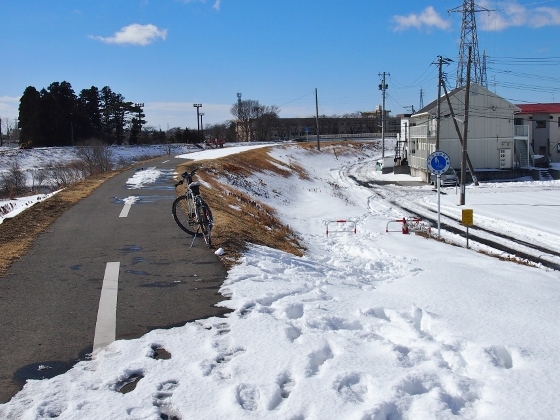 Since Michinoku Cycling Road was still covered with snow I chose East Side Main Road at which most of the snow had been cleared. 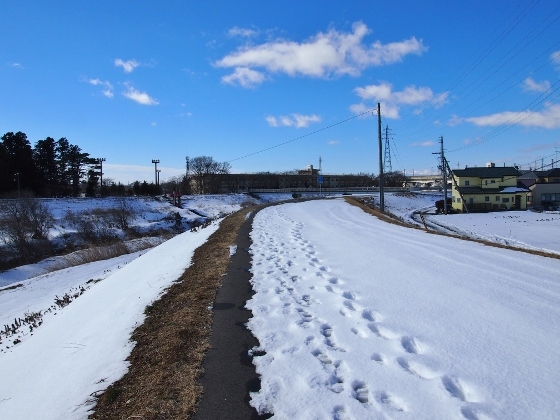 There still remained deep snow today on the approach from public road to the Michinoku Cycling Road as shown in the above first picture. 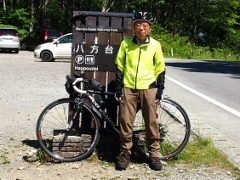 And there was only narrow space for safe pedaling left as shown in the second picture. 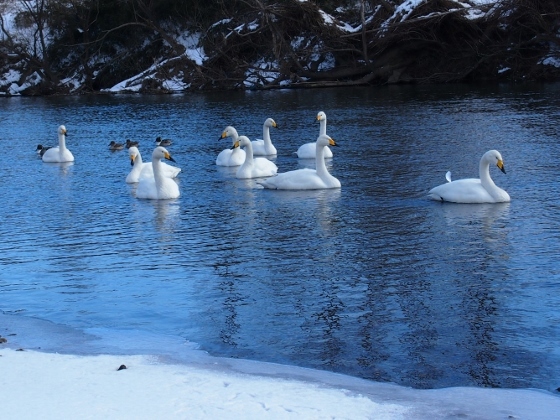 I could find many swans again in Abukuma River under the Hinode Bridge which was located near Faculty of Engineering Nihon University. 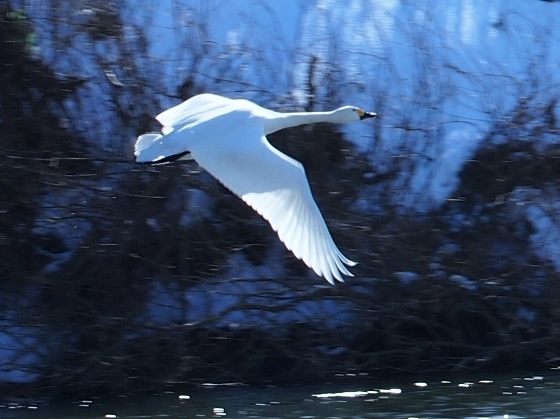 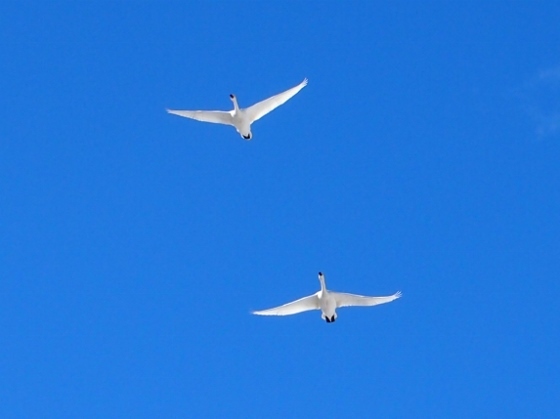 The swans were very active and I could see them glide many times.